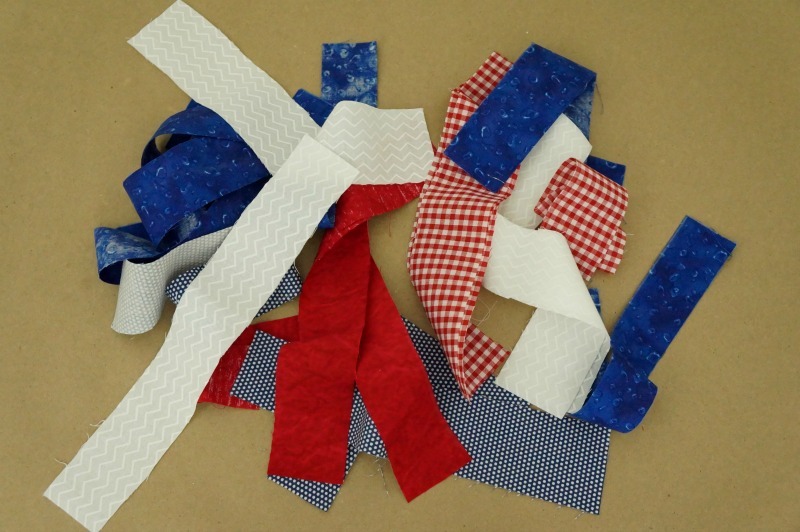 5-6 fabrics in a variety of red, white and blue patterns. If you don’t have a fabric stash, you can find inexpensive cottons at your local craft or fabric store, and should only need 1/4 of a yard or less of each fabric. 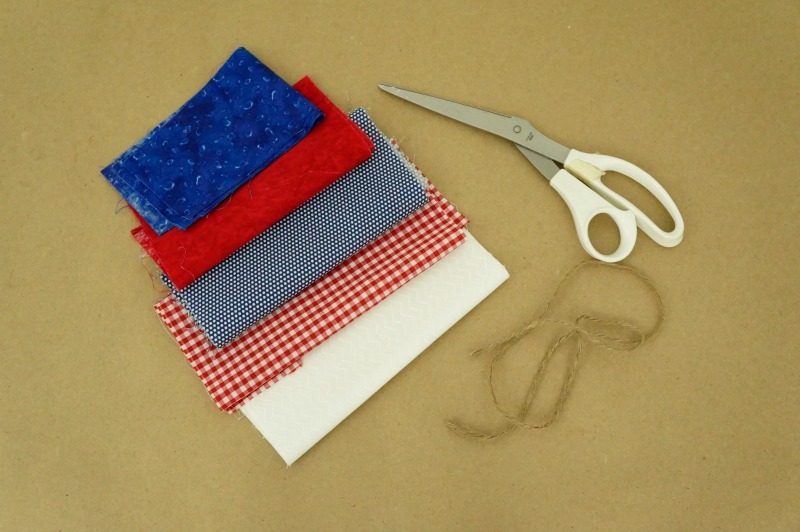 Start by cutting each fabric into strips. The length of the garland and size of each tassel is completely up to you. If you’d like your garland to have longer “tails”, cut longer strips of fabric. My fabric strips are about 1.5″ x 10″. Step 1: Then take one strip of fabric and fold it in half. Step 2: Lay the fabric behind the twine, then loop the tails through the folded end. Step 3: Pull the tails until the loop is secure around the twine. 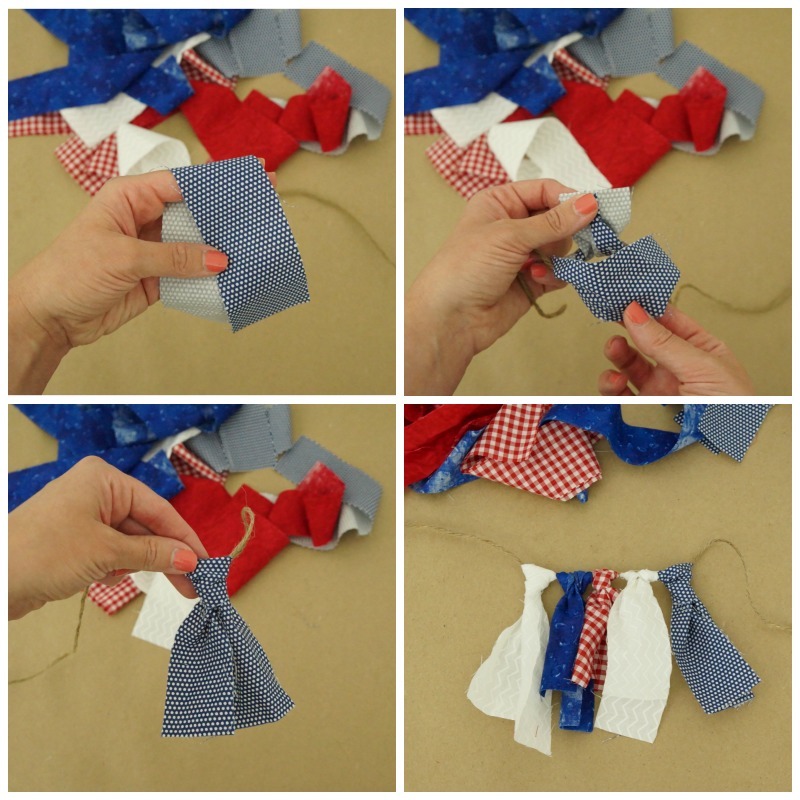 Step 4: Continue folding and looping each strip of fabric until the garland reaches your desired length. Fabric garlands add a great element of texture and they can be used in so many ways—draped across a mantel, shelf or hutch, or even added to a large piece of artwork. 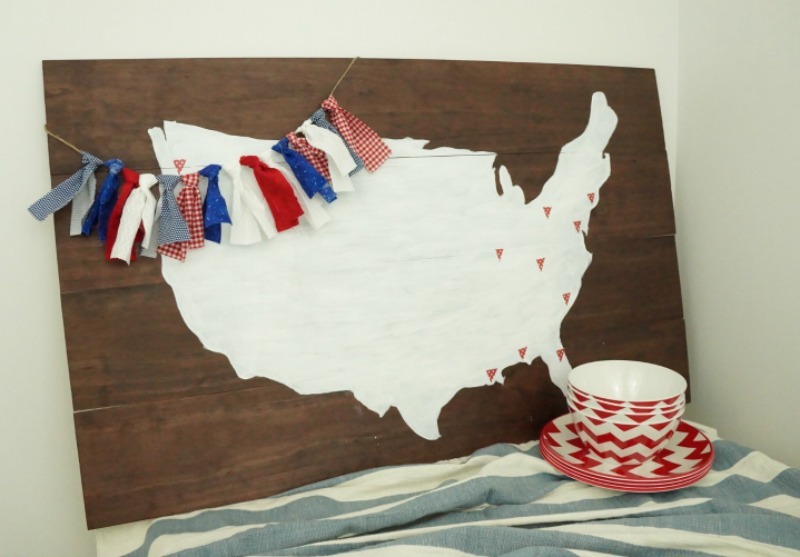 I made a shorter garland so I could display it across this wood plank map art I made a while back – how perfect is this for summer!? (Want to make your own map art? Check out the step-by-step tutorial here.) 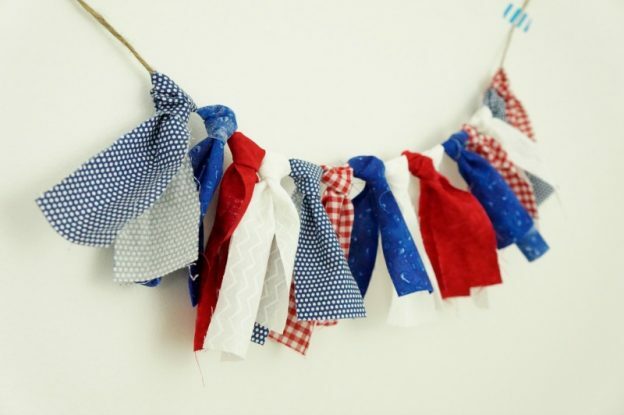 Display this garland wherever you’d like to add a patriotic splash of color this summer! How fun! What a pretty addition to patriotic decor! Thanks for sharing at Celebrate the USA Party. Pinning. 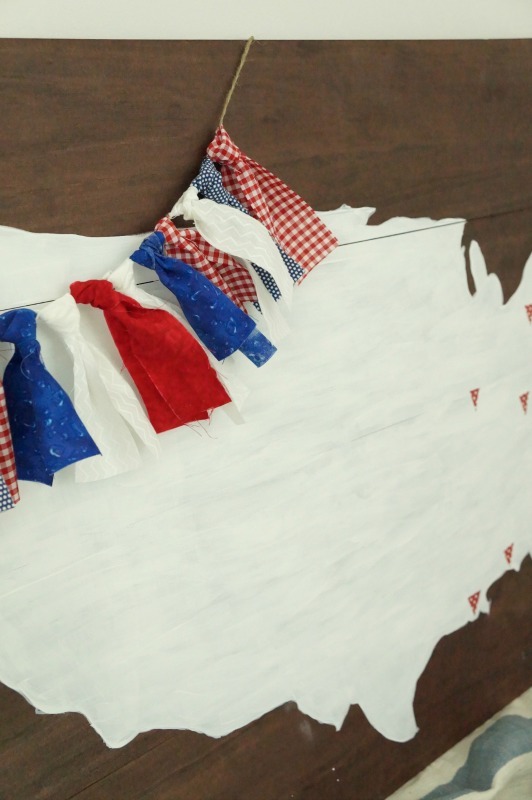 So festive and fun for some summer Patriotic decor! I like how easy this is. No excuse not to make one now!